Ford has announced to bring up its Focus Econetic line soon for public. This car would be a sedan venture for the brand that will heavily change the fuel economy definition the industry is forced. Report says that the Focus Econetic second generation will have record mileage per gallon as well as carbon dioxide emission per mile. While the first generation of Ford Focus Econetic goes for 74.2MPG and 104G CO2/KM, the new versions will have a record breaking 80 MPG and 95G CO2/KM. That is indeed a notable and admiring figure for the industry fiercely trying to go green. At the moment the brand, Ford, is testing the engine performance. By end of this year they will officially release the data derived from their tests. 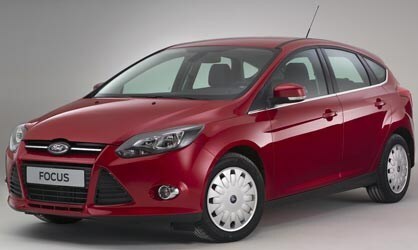 Whatever it be the figure, we can easily term the aim of Ford Focus Econetic an ambitious one. Next page Next post: Christiano Ronaldo and His Cars!